There’s so much to learn from historic pavement! We’re inspired by resources that educate and support our countries historic buildings, landscapes and pavements in the United States. The Cultural Landscape Foundation is one that educates and engages the public in making our shared landscape heritage more visible, identifying its value, and empowering its stewards. TCLF featured an article by Dr. Robin Williams, in Savannah, GA, who is professor and Chairman – Department of Architectural History at the Savannah College of Art and Design and one who shares our interest in historic pavement, in particular – historic cobblestone! Prof. Williams has been fascinated with old pavement since childhood. Growing up in Toronto, Canada he would search for the oldest concrete sidewalk stamp while walking to school. Then as an adult in Savannah, he was curious about the unusual patterns of asphalt blocks around the town squares in the city. His formal research began in 2009 which led to a fascinating historical perspective published in 2013: “`A well-paved city’: Variety, locality, and modernity in paving Savannah’s streets,” ARRIS: Journal of the Southeast Chapter of the Society of Architectural Historians 24 (2013): 20-39. Dr. Williams believes cobblestone is among the most picturesque and historic forms of street pavement and we certainly agree! Many older port cities on the east coast such as Savannah repurposed the discarded ships ballast of cobblestone for use as street pavement. 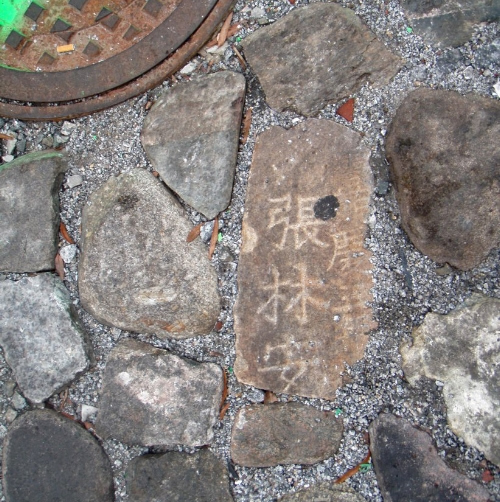 Interest in the international and geological diversity of such stones led him to discover one particular individual historic cobblestone in Savannah that was from China! For more on this interesting story follow this link to learn all about Savannahs Chinese Cobblestone. Professor Williams created the Historic Pavement website to document the diversity of historic street and sidewalk pavement in America. His Facebook pages also hold a wealth of interesting information. ‘Like’ and follow Dr. Williams on Facebook: https://www.facebook.com/historicpavement/ and consider asking to join his “Friends of Historic Pavement” group! I’ll be checking Prof. Williams blog often to share more interesting research and stories covering historic cobblestone and pavement material right here in the U.S.A.!